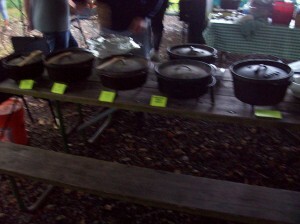 This was my first Dutch Oven Gathering and I was not sure what to expect. I spent a few days before the DOG (Dutch Oven Gathering) getting my gear ready and was as excited as a kid going to Disneyland. My son came along as did an old high school friend and his son. I looked forward to spending the time with my friends and family. 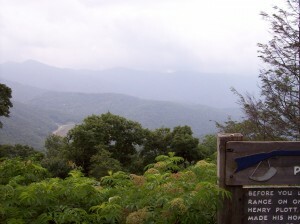 The Mile High Campground has some great views and the owner was very friendly and a big part of the DOG. I’d guess their were 50 or more people including the 17 cooks. Some from the Cracker Trail Dutch Oven Group up from Florida and the Tennessee Dutch Oven Group too. I had a chance to put some faces with names and others I meet for the first time. I walked away feeling good having made new friends. 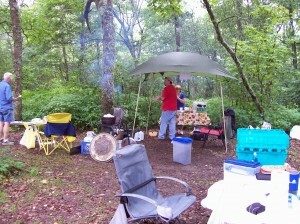 The weather turned on us Friday night and most of the weekend, but it cleared out long enough for the gathering. 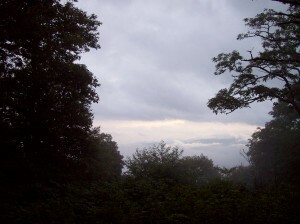 The weather could’nt even dampen the high spirit of the group as we prepared our recipes for the big dinner. Some of the dishes included Mongolian Beef, Cabbage Casserole, Spinach Stuffed Meat Loaf, Sour Orange Cake, Banana Nut Bread, Huckleberry Pie along with Gus’s Famous Dinner Rolls. There was something for everyone. The quality and quantity of food prepared was outstanding. I think this was the only camping trip I’ve been on where I could gain weight. This turned out to be way more than I expected. If you enjoy Dutch Oven and Outdoor Cooking, attending a Dutch Oven Gathering is a MUST. The folks at the Mile High DOG were warm and friendly and I look forward to see them again next year. 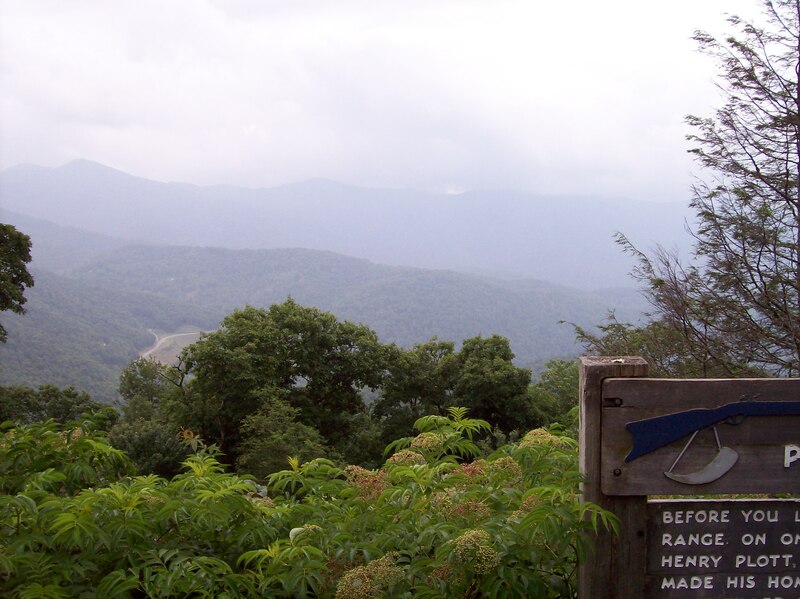 The event is always held on the last Saturday in July at the Mile High Campground on the Blue Ridge Parkway near Maggie Valley, North Carolina. I hope to see you there. We like this recipe for its versatility. At home we enjoy it as a dessert, but when camping we like it as a hearty and filling breakfast. It matches up nice with a hot cup of coffee. Mix all ingredients including juice from peaches. Cover bowl with plastic wrap and let stand. The oatmeal needs time to soak up all the juice from the peaches. If the peach oatmeal mixture is too stiff, stir in a little water. 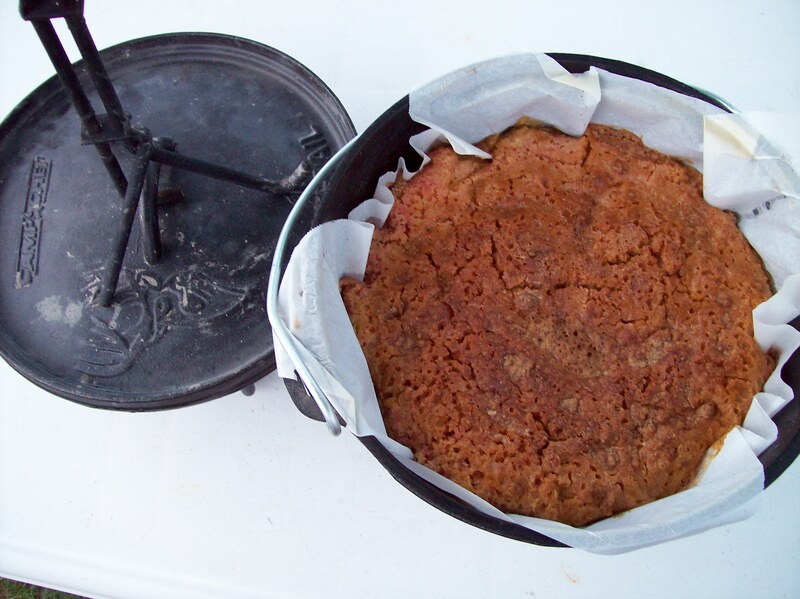 Line a 10″ Dutch Oven with parchment paper (for easy clean up later). Pour mixture into Dutch Oven and smooth out evenly. Start with 20 charcoal briquettes. Use 5 on bottom and the remaining spaced evenly around the rim. Bake for about 45 minutes or until brown and bubbly on top. If it is windy or cold add a few more briquettes as needed. If making this at home, bake at 350 for 30 minutes or until golden brown on top. Remember to rotate the oven and then the lid 90 degrees to even out the heat. 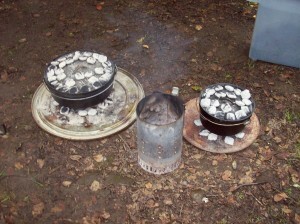 This should be done for all camp recipes after the first 20 – 30 minutes of cooking. This recipe can be made with any available canned fruits. Nuts and Raisins can be added to round out this easy dessert.